Now you can place all your computer accessories in a protective, organized, and easily accessible desktop storage center. The Reference Center is designed to eliminate misplacement of often used materials, and to complement any office with its attractive features. 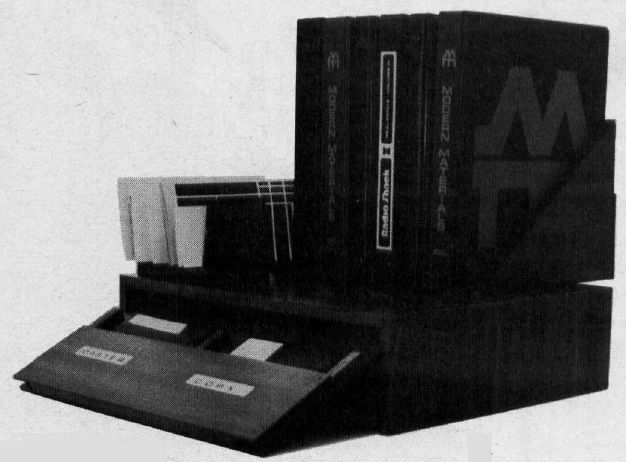 Diskettes are placed on movable shelves which secure safely within the center when not in use. Manuals and command charts are placed on top for easy viewing and access. Other accessories like papers and cleaners can also be stored within the cabinet. The Reference Center can be placed next to your computer for frequent use or in a separate location to serve as a library of complete computer information.